Holds 150 clips in two compartments. Ideal when you need to keep two size of clips handy. 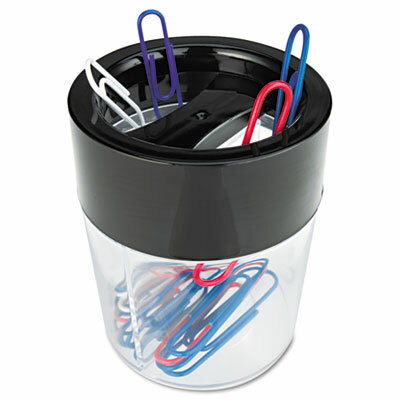 Magnets make clips easy to retrieve. Top is recycled plastic.